It’s that time of week, as the Nintendo eShop is updated with a whole host of new titles to tempt your digital wallet. This week sees a big release for the Switch, with the definitive edition of Hyrule Warriors gracing our console. There’s also the complete edition of Little Nightmares, plus two Mega Man collections, among others. 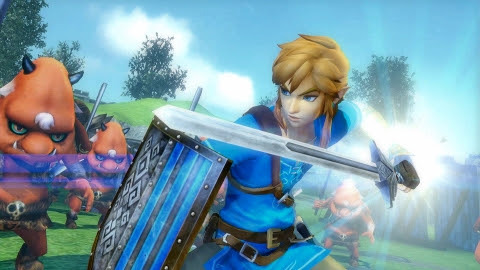 Hyrule Warriors: Definitive Edition – Cut down enemy hordes as characters from the Legend of Zelda series. You even play co-op multiplayer with a friend on one system! All features and downloadable content from past versions of the game, including My Fairy mode and elements from The Legend of Zelda: Breath of the Wild and The Legend of Zelda: The Wind Waker, can be enjoyed in crisp HD on the Nintendo Switch system. The fate of Hyrule rests in your hands! 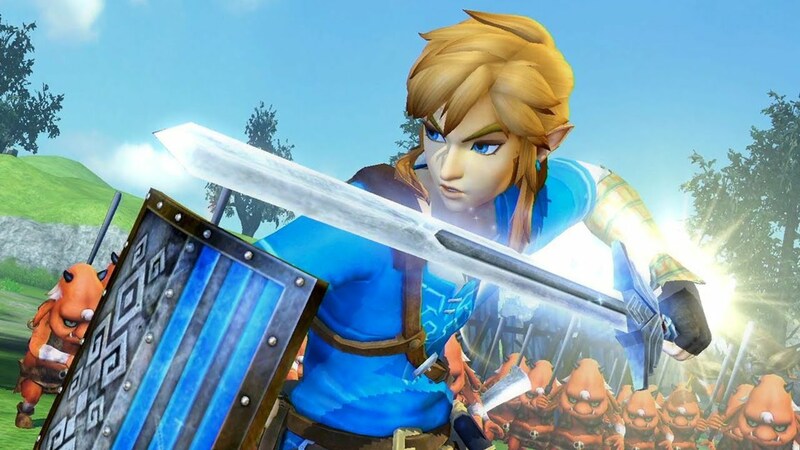 The Hyrule Warriors: Definitive Edition game will be available on May 18. Runner3 – The Timbletot is determined to rid the multiverse of all its love and happiness. CommanderVideo, a lover if ever there were one, refuses to let this happen. He’s ready to jump, double-jump, wall-jump, slide-jump, slide, kick, float, drive, fly and dance his way to victory, all across a medley of thrilling, challenging and joyous levels. The Runner3 game will be available on May 22. Little Nightmares Complete Edition – Do you remember your childhood fears? Immerse yourself in the Little Nightmares Complete Editiongame, a dark whimsical tale that will confront you with your childhood fears as you help Six & The Kid escape The Maw – a vast, mysterious vessel inhabited by corrupted souls looking for their next meal. Little Nightmares Complete Edition will be available on May 18. Mega Man Legacy Collection – The Mega Man Legacy Collection game is a celebration of the 8-bit history of Capcom’s iconic Blue Bomber. Featuring faithful reproductions of the series’ origins with the original six Mega Man games, the Legacy Collection will remind longtime fans and introduce newcomers to what made Mega Man such a popular and iconic character. Mega Man Legacy Collection will be available on May 22. Mega Man Legacy Collection 2 – The Blue Bomber is back in this second collection of classic Mega Man games. Featuring faithful reproductions of Mega Man 7, 8, 9, & 10, this collection spans the iconic series’ evolution and retro revolution. Take on the nefarious Dr. Wily and his diverse Robot Masters in these timeless 8-bit, 16-bit and 32-bit adventures. The Mega Man Legacy Collection 2 game will be available on May 22. Nintendo Labo Creators Contest for Best Toy-Con Mod Using Toy-Con Garage Ends Next Week – Make, play and discover with Nintendo Labo! Create your masterpiece using a Nintendo Labo kit and a Nintendo Switch system, then post a video or picture of your creation to the My Nintendo – Nintendo Labo Creators Contest site for a chance to win some great prizes. * The “Best Toy-Con mod using Toy-Con Garage” contest ends on 10:59 a.m. PT on May 25, so act fast! Are you curious about what other My Nintendo members have made so far? Check out them out here, and be sure to click the “Like” button for your favorite creations! * Void where prohibited. Open to legal residents of the U.S. and Canada, ages 13+. Nintendo Switch system and Nintendo Labo kit required. Contest begins 11AM PT on 4/20/18 and ends at 10:59AM PT on 5/11/18 for the Best Decorated Toy-Con Contest Category, 10:59AM PT on 5/25/18 for the Best Toy-Con Mod Using Toy-Con Garage Contest Category, and 10:59AM PT on 6/15/18 for the Best Original Invention Using Toy-Con Garage Contest Category. To enter, upload your photo or video of your Toy-Con creation or invention as detailed in the Official Rules. 9 winners will each receive One (1) Nintendo Labo Variety Kit (ARV: $ $69.99 USD) or Nintendo Labo Robot Kit (ARV: $79.99 USD), one (1) Nintendo Labo Creators Jacket (ARV: $ 70.00 USD), and one (1) award certificate (ARV: $ 70.00 USD). ARV of each prize package: $209.99-$219.99 USD. Total ARV of all prizes: $1,889.91-$1,979.91 USD. Chances of winning a prize depend on eligibility and quality of entries received, and how well each meets the judging criteria. Details and restrictions apply. For Official Rules, visit https://labo.nintendo.com/share/#!/contest-rules Sponsor: Nintendo of America Inc.
Hyrule Warriors: Definitive Edition My Nintendo Rewards – To celebrate the Hyrule Warriors: Definitive Edition game launch, My Nintendo is offering themed rewards, including two free character printables (printable 1 and 2) and a new wallpaper redeemable with My Nintendo points. Check out more rewards at https://my.nintendo.com/news/e5335141c5d8c4dd.